Starlink Review - Is It Best Played on Nintendo Switch? One-minute players are using hyperdrive in order to get to an ice-covered planet, and the next they’ve fallen into an ambush set by space pirates that won’t give up until one of the two sides are dead. It’s these unpredictable moments that make Starlink: Battle for Atlas so exciting, as Ubisoft’s space shooter is constantly providing little moments no matter if they are in outer space or exploring a planet for themselves. Similar to Far Cry or Assassin’s Creed, the next distraction is only ever a few moments away. 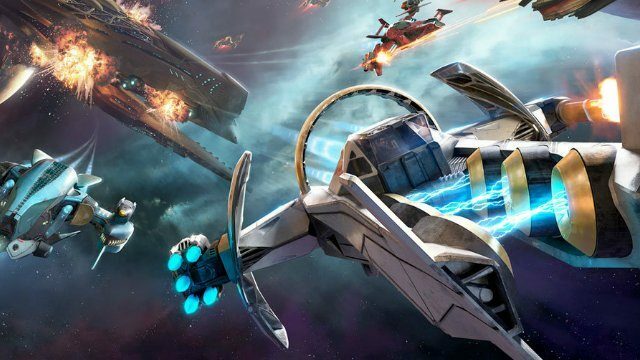 However, to describe Starlink as merely a shooter would be doing Ubisoft’s latest title a disservice. As players explore different planets they will come across various animals (both friendly and hostile) that they can scan to their ship’s memory banks, discover areas that can be refurbished into various bases that have an impact on the planet itself, and experience different types of missions that range from boss encounters to gathering material types. There is a lot going on here, and that’s not even getting into how everything from weapons to the pilots themselves can have their abilities customized. After listing out all of the facets involved in Battle for Atlas, I can easily see the game appearing to be overwhelming for some. Luckily, Ubisoft has implemented a fantastic learning curve, as the opening 8 hours constantly introduce new features as the story moves towards its first huge moment. It then opens up into the formula that continues until the end of the campaign, and pilots are never left without dozens of options at their disposal as to what they can do at any given time. 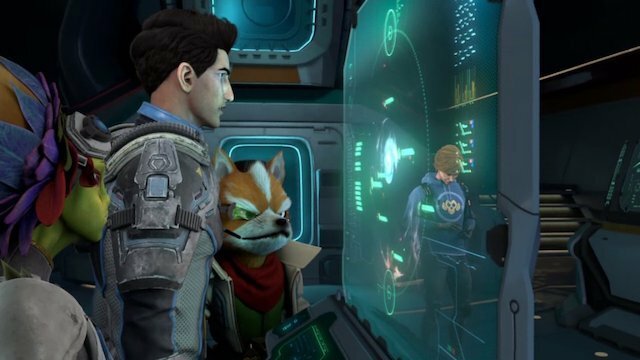 While the majority of Starlink‘s hype comes from a crossover that is only found in the Nintendo Switch version, it quickly becomes clear why Ubisoft has hyped up the Star Fox content. Rather than just having Fox McCloud and his Arwing as a playable character, the team at Ubisoft Toronto have crafted an entire storyline that is exclusive to Switch. This isn’t throwaway content, either, as it winds up including some of the most memorable moments in the game, and features Wolf O’Donnell as a great antagonist throughout. 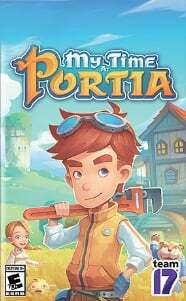 Ubisoft really took full advantage of the license, and it’s enough to make the handheld version of the game the definitive purchase. Sadly, the original cast for Battle for Atlas don’t impress nearly as much. None of the characters come across as particularly grating, but not a single member of the ensemble cast left much of an impression on me. Despite featuring such vibrant worlds for players to explore, Starlink struggles to exude much personality that isn’t borrowed from an established franchise. That’s not to say that Ubisoft didn’t try with the story, as every character has their own backstory to learn throughout, but it fails to captivate in any meaningful way. The story might not fire on all cylinders, but thankfully Starlink‘s core gunplay holds up its share of the weight. Being able to customize the ship’s weapons is a real blast, and players are encouraged to find combinations that work together. For example, a mixture of the Imploder and Flamethrower shots can engulf enemies in an orbit of fire that does damage multiple times. There are plenty of different combos that work out, and since elemental damage is a large aspect of the shooter, finding out what enemies are weak to what quickly became a highlight in a shooter that could have easily just relied on the player’s reflexes. Unfortunately, as I got increasingly further into Starlink: Battle for Atlas, I found myself enjoying the core gameplay less. While the frantic gunplay was still fun to pull off, I found myself going through the same motions from planet to planet. There simply aren’t enough mission types to keep the action feeling fresh, and there are only so many ways to dress up battling the same boss dozens of times. A lot of Ubisoft’s titles have struggled with repetition, and sadly this isn’t an exception. Not helping matters is that Starlink only appears to have a lot of depth. 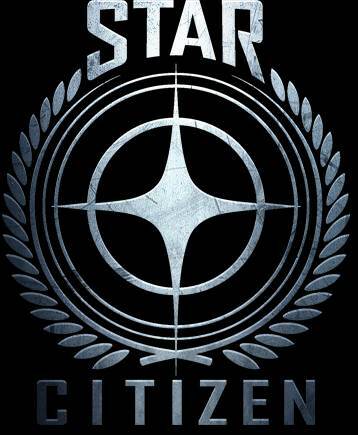 If you take a look at all of the shooter’s offerings, it looks to be a feature-rich experience with alien creatures to scan, bases to build and customize, and an all-out space war to constantly monitor. However, these features are all about as deep as a puddle, and Battle for Atlas opts to offer the player a veneer of depth rather than actually having it. 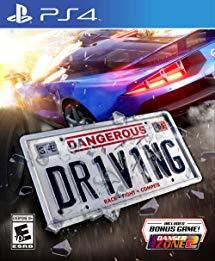 This illusion of substance is more than enough to drive players through during the opening hours, but it quickly feels like missed potential once they get into the meat of the experience. 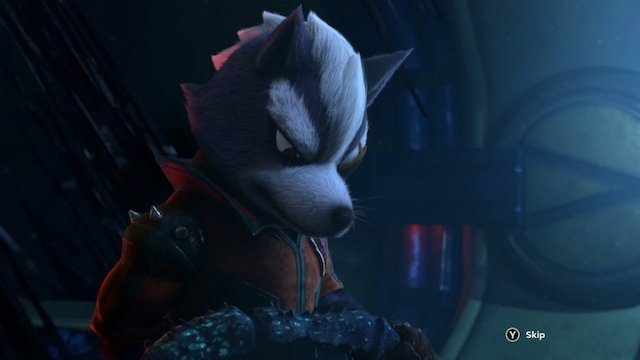 It’s also worth mentioning that Starlink is Ubisoft’s attempt at revitalizing the toys-to-life genre, but it’s actually not a core caveat of the game. 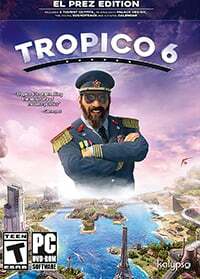 While players can opt to physically build their ships (which is certainly a cool gimmick), Ubisoft has intelligently recognized that the shooter has a wider appeal than to just those that want a bunch of toys in their room. As such, all of the physical models (which range from pilots to weapons) can be purchased digitally as well. The only aspect of this that rubbed me the wrong way was that additional ships are essentially used as extra lives in the game and can be the difference between failing or passing a mission, but luckily Starlink has multiple difficulties to mitigate it ever feeling overly grind-y. Starlink: Battle for Atlas is really a title that begs for a sequel. 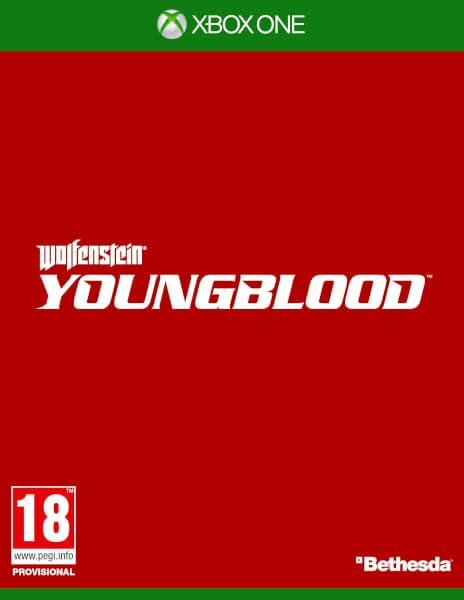 As a proof of concept, it’s an absolute success as there are plenty of impressive moments and pieces of tech that help it stand out from other massive action games. The Nintendo Switch exclusive Star Fox content is also a blast, as it fits in as seamlessly as one could possibly hope for. 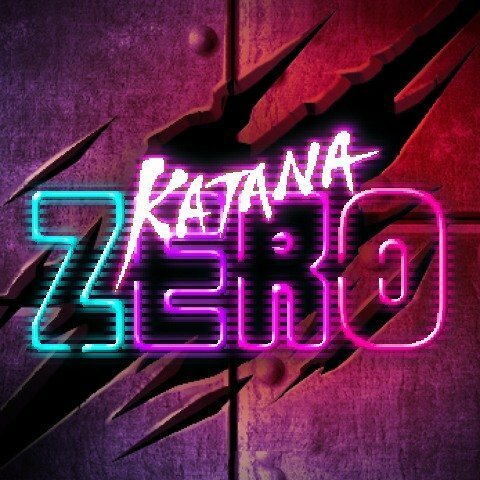 However, there’s clearly room for improvement as additional enemy types, more mission variety, and fleshed outside activities could have made for a much more memorable experience. For now, gamers will have to settle for a fun space shooter that oozes potential it can’t quite reach, and that’s just fine. 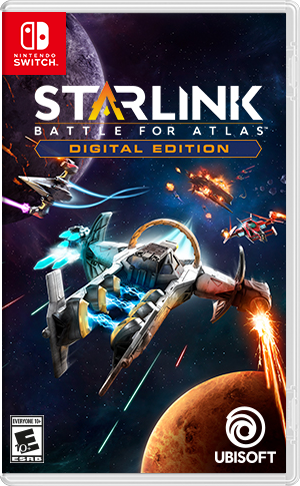 Starlink review was conducted on Nintendo Switch via a digital code provided by the publisher.